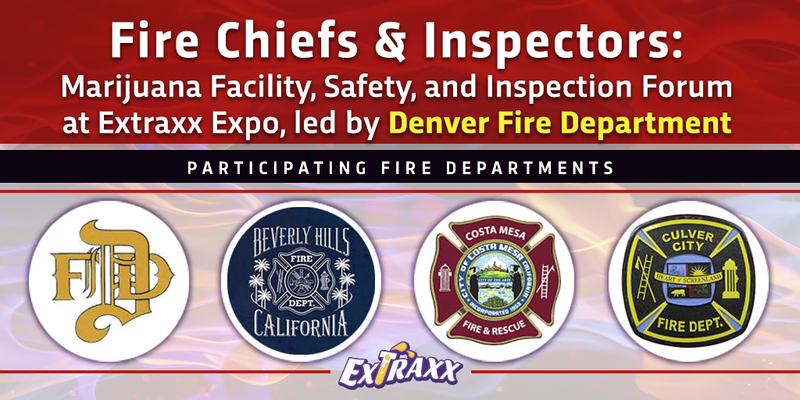 The Forum will include a 2-hour session led by Denver’s Fire Inspector, Brian Lukus, PE, who will provide an overview of the commercial marijuana industry by discussing the hazards and fire regulations surrounding the growing and processing of marijuana. The 15 members of the City of Denver’s inspection team now conduct over 600 facility inspections per year, and Denver FD is the only Fire Department in the country to have adopted and created Fire Codes specifically to address the needs of the marijuana industry, based on their experience enforcing fire regulations in Denver since marijuana’s decriminalization in 2010. Topics discussed will include CO2 enrichment systems, construction, occupancy, fumigation, fire suppression, and each different extraction process, including liquefied petroleum gas extractions, super/subcritical CO2 extractions, and flammable liquid extractions as well as ‘post oil processing’, which involves the dewaxing or winterizing (purifying) of the oil concentrate after extraction, commonly using flammable liquids. There are currently 40 cities across CA who will be attending the forum, with more expected to attend. A special regulator’s rate is available for tickets to this event. Lunch and refreshments will be provided for all attendees. Please reserve today – space at this Forum is limited and will sell out. REGISTER FOR THIS EVENT HERE!